As many of you know, over the past months we have been working very hard to improve this service site, which include a number of new tools and information. We would like to thank all website visitors who took the time to write in with your comments and suggestions. Your efforts made our work a lot easier. In the coming weeks, we will be releasing a variety of service enhancements and refining many of our free services. Stay tuned, and be sure to watch for upcoming announcements on our website. Again, thanks to all for your valuable input. The author is not responsible for the contents of this pages (FREE SERVICE). If any damage occurs by the use of information presented here, under no circumstances the author might be liable. Naples, often called the golf capital of the world, offers a variety of link selections for golfers. Every major designer plus a number of professional player designers have left their signature on at least one area course, including Pete & P.B. Dye, Robert Trent Jones Jr. & Sr., Robert Van Hagge, Arthur Hills, Tom Fazio, Jack Nicklaus, Arnold Palmer, Greg Norman, Gary Player, and many more. 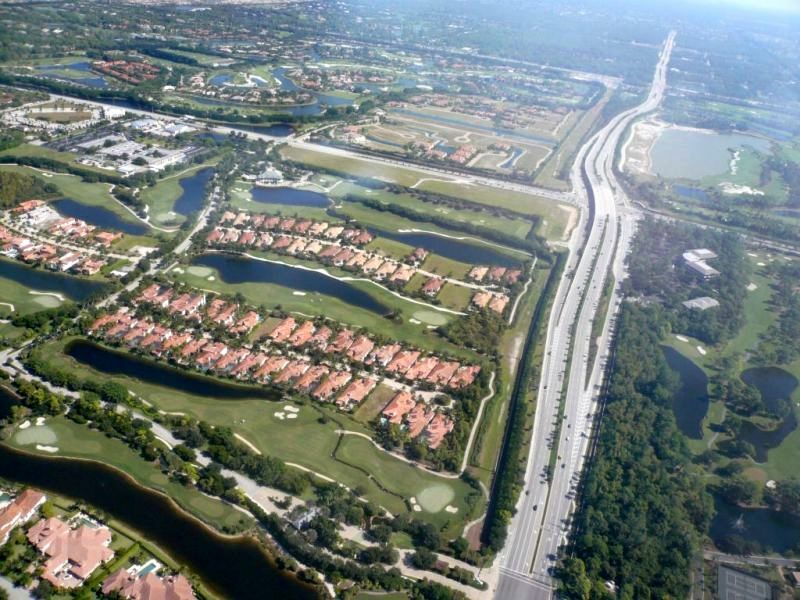 The majority of over 60 courses in the Naples area are private, although the newer developments often offer low-price, temporary memberships during the first three or four years, or they simply allow public play during that time to encourage sales. 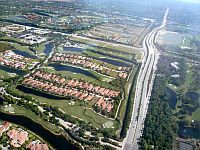 Click on Go button to get an overview of all golf courses in Naples! Click on Go button to look at our golf training tips! For detail weather forecast click HERE! We can recommend these books about Florida. It can saves you a lot of time and trouble if have good maps. And it's nice not missing a sightseeing place. Pay less green fee than someone else pays! During summer season you can play on several courses - even strictly private ones - for less green fee if you own a special golf card. The reduction of green fee you'll get is around USD 5 in average. You can 'buy' this card by giving a donation to an association. There are several one 'selling' a card. Look at the following table. The summer season is from May 1st thru October 31st. LUNG CARD, Fax: (727) 345-0287, Phone: (727) 347-6133, Toll free: 1-800-771-5863. Order the Golf Card "Regional Gulfcoast Edition" for USD 15 (+2 USD for S+H). It enables you to play over 190 courses for reduced prices from May 1 until October 31. St. John Neumann GOLF CARD, call (941) 643-3121 or (239) 643-3121 for recorded message and pickup locations. Donations USD 15. During summer season you can play on several courses for less green fee if you own this card. At WINN-DIXI on corner Santa Barbara / Radio road you can apply for a customer card. This membership card is FREE. Go to the customer service desk and apply today. And you will make instant savings. A great foodstore for savings is - nomen est omen - SAV-A-LOT at US-41 East, corner to Palm Drive. Great savings on rental cars! Click HERE to rent a car in Florida! RENTALCARS offers car hire services from thousands of locations across the world with one simple ambition. We want every one of our customers to receive high quality service and benefit from our guaranteed low prices. Cars are less than 6 months "young"
Cars are under 10,000 miles "young"
Click HERE to rent a car. Take advantage of this great information! Be informed if you go to the beach! Click on tide picture! Pay your rental fee online! Click on the Credit Card icons below if you are already a PayPal member or keep your Credit Card ready and apply for PayPal! The provider of the secured payment is PayPal, a subsidiary company of eBay. If you want to learn more about PayPal click also on these above icons. To make a payment you have to register at PayPal - it's FREE. We'll forward the money to the owner of the rental property. Fly to Naples for less money! We've teamed up with some of the biggest names in the travel industry to offer you amazing travel fares on everything from airlines to car rentals. Click on this Banner to check it! Have fun while planning your vacation! 180.000 hotels in the world - Best rates - Instant confirmation! Some good advice... If you don't agree send us an email. 4. Place the contents of your wallet on a photocopy machine, do both sides of each license, credit card, etc. You will know what you had in your wallet and all of the account numbers and phone numbers to call and cancel. Keep the photocopy in a safe place. I also carry a photocopy of my passport when I travel either here or abroad. We've all heard horror stories about fraud that's committed on us in stealing a name, address, Social Security number, credit cards, etc. Unfortunately I, an attorney, have firsthand knowledge because my wallet was stolen last month. Within a week, the thieve(s) ordered an expensive monthly cell phone package, applied for a VISA credit card, had a credit line approved to buy a Gateway computer, received a PIN number from DMV to change my driving record information online, and more. 2. File a police report immediately in the jurisdiction where it was stolen, this proves to credit providers you were diligent, and is a first step toward an investigation (if there ever is one). But here's what is perhaps most important: (I never even thought to do this). 3. Call the three national credit reporting organizations immediately to place a fraud alert on your name and Social Security number. I had never heard of doing that until advised by a bank that called to tell me an application for credit was made over the Internet in my name. The alert means any company that checks your credit knows your information was stolen and they have to contact you by phone to authorize new credit. By the time I was advised to do this, almost two weeks after the theft, all the damage had been done. There are records of all the credit checks initiated by the thieves' purchases, none of which I knew about before placing the alert. Since then, no additional damage has been done, and the thieves threw my wallet away this weekend (someone turned it in). It seems to have stopped them in their tracks. We got this from a friend. This information is worth reading. By understanding how the VISA & Mastercard Telephone Credit Card Scam works, you'll be better prepared to protect yourself. Thanks to Dr. Pat Cloney for passing this on. Those con artists get more creative every day. My husband was called on Wednesday from "VISA", and I was called on Thursday from "MasterCard". The scam works like this: Person calling says, "this is , and I'm calling from the Security and Fraud Department at VISA. My Badge number is 12460. Your card has been flagged for an unusual purchase pattern, and I'm calling to verify. This would be on your VISA card which was issued by bank. Did you purchase an Anti-Telemarketing Device for $497.99 from a marketing company based in Arizona?" You say "yes". The caller continues... "I will be starting a Fraud investigation. If you have any questions, you should call the 1-800 number listed on the back of your card (1-800-VISA) and ask for Security. You will need to refer to this Control #" The caller then gives you a 6 digit number. "Do you need me to read it again?" Here's the IMPORTANT part on how the scam works. The caller then says, "he needs to verify you are in possession of your card". He'll ask you to "turn your card over and look for some numbers. There are 7 numbers; the first 4 are your card number, the next 3 are the 'Security Numbers' that verify you are in possession of the card. These are the numbers you use to make Internet purchases to prove you have the card. Read me the 3 numbers". After you tell the caller the 3 numbers, he'll say ,"That is correct. I just needed to verify that the card has not been lost or stolen, and that you still have your card. Do you have any other questions?" After you say No, the caller then Thanks you and states, "Don't hesitate to call back if you do", and hangs up. You actually say very little, and they never ask for or tell you the card number. But after we were called on Wednesday, we called back within 20 minutes to ask a question. Are we glad we did! The REAL VISA Security Department told us it was a scam and in the last 15 minutes a new purchase of $497.99 was charge on on our card. Long story made short, we made a real fraud report and closed the VISA card, and they are reissuing us a new number. What the scammers wants is the 3-digit PIN number on the back of the card. Don't give it to them. Instead, tell them you'll call VISA or Master card direct. The real VISA told us that they will never ask for anything on the card as they already know the information since they issued the card! If you give the scammers your 3 Digit PIN Number, you think you're receiving a credit. However, by the time you get your statement, you'll see charges for purchases you didn't make, and by then it's almost to late and/or harder to actually file a fraud report. What makes this more remarkable is that on Thursday, I got a call from a "Jason Richardson of MasterCard" with a word-for-word repeat of the VISA scam. This time I didn't let him finish. I hung up! We filed a police report, as instructed by VISA. The police said they are taking several of these reports daily! They also urged us to tell everybody we know that this scam is happening. Please pass this on to all your friends. By informing each other, we protect each other. Thank-You. If he or she has trouble with any of these tasks, call 9-1-1 immediately and describe the symptoms to the dispatcher. After discovering that a group of non-medical volunteers could identify facial weakness, arm weakness and speech problems, researchers urged the general public to learn the three questions. They presented their conclusions at the AMERICAN STROKE ASSOCIATON's annual meeting in February 2004. Widespread use of this test could result in prompt diagnosis and treatment of the stroke and prevent brain damage. A cardiologist says if everyone who gets this link sends it to 10 people, you can bet that at least one life will be saved. Tell as many people as possible about this. It could save their lives! US-VISIT: Keeping America's Doors Open and Our Nation Secure. CURRENCY CONVERTER: Converts US$ to EUROs and revers. CURRENCY EXCHANGE RATES: The world's most popular side. What an encyclopedia knows regarding NAPLES.